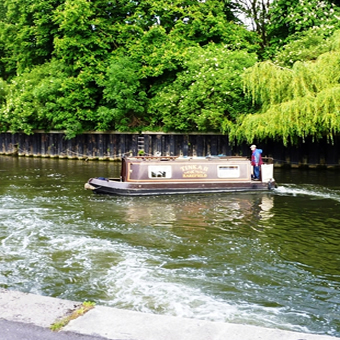 Unlike some larger boat hire fleets, we have a small but perfectly formed selection of boats each with unique and individual characters. 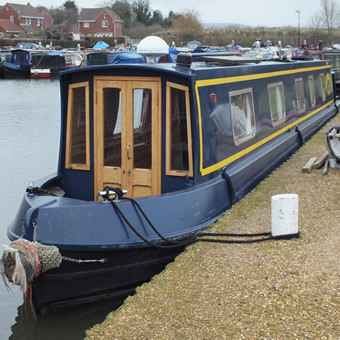 They all have their own special qualities and the variety in size means that whatever your requirements, we can offer you a comfortable, stylish boat to suit your needs. 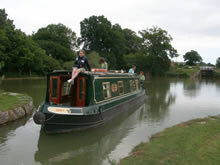 A classy boat some 36 feet long, Abbey is the perfect size for a family of four or just a few friends enjoying a precious taste of peace and quiet. 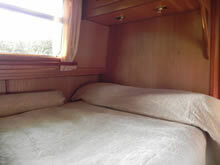 Her interior is light and stylish, with a fixed double bed and another make up double in the lounge area. 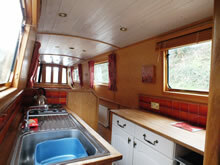 The kitchen is spacious and particularly well equipped, giving a real ‘home from home’ feeling for the floating chef! 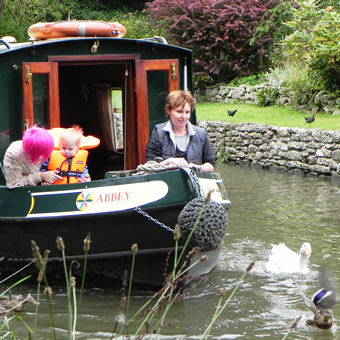 Abbey is a firm favourite with returning customers due to her ease of handling and comfortable, cosy living accommodation. 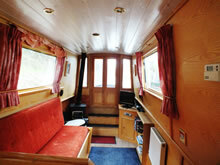 Tinka is our baby, and the perfect boat for a spot of ‘you and me’ time. 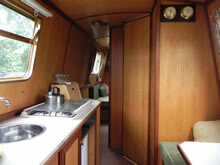 A compact 26 feet long, she has many things that a larger boat offers in an economically planned layout. 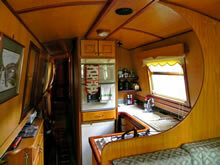 A well equipped kitchen for a small boat, offering comfortable dining area, and at the front is ample seating in the lounge. She can sleep up to three people in a double and single format (both have to be assembled each night), and her diminutive size makes her the perfect partner for a first time sailor. 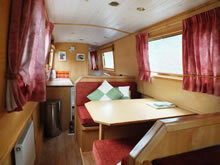 Dottie B is the big sister of the family and at 55 feet long is ideal for the larger family or for adult groups. 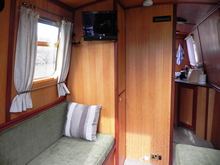 She has excellent open plan living space with a modern kitchen, separate dining table and cosy lounge area complete with wood burning stove for those evenings with a nip in the air! 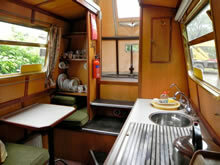 There is a fixed double bed, make up double in the dinette, and the lounge has a make up single with the option of a further fold out-type single if a 6th bed is required. 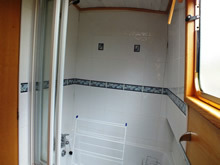 There is also the luxury of a half bath with a shower above and a heated towel rail so that you can wrap up in warm fluffy towels! 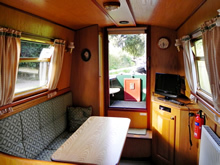 Although she is a longer boat than Abbey and Tinka, Dottie B drives equally well and is easy to manoeuvre, even for novice sailors. 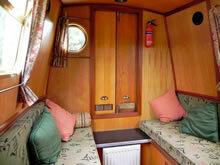 Due to the configuration and layout of our boats they all have Elsan Cassette toilet systems.